Stock status is current as of 4/26/2019 6:28 AMET. Collaboration anywhere, anytime. 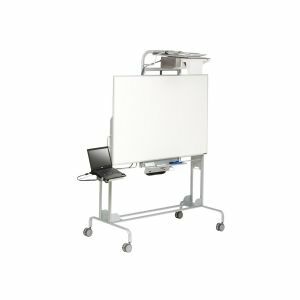 The mobile whiteboard is designed for interactive ultra short throw projectors and offers a canvas for interactive learning, brainstorming and connection. A top-mounted Ultra Short Throw Projector combines with the instructor�s laptop to elevate hands-on learning to a whole new level.